Our restaurant is known for its exclusive, quality and delightful cuisine. Traditionally creative, our dishes are an agreeable blend between research and innovation, modernity and tradition. The secret lies in the combination of quality products and new tastes. Our recipes enhance the taste of each ingredient, moulding new emotions for the palate. The elegant Mediterranean style is mirrored in the meat and fish dishes accompanied by the numerous vegetable varieties offered by nature. Breakfast is served as a rich and abundant buffet with both sweet and savoury options, including dried fruit and home-made jams. 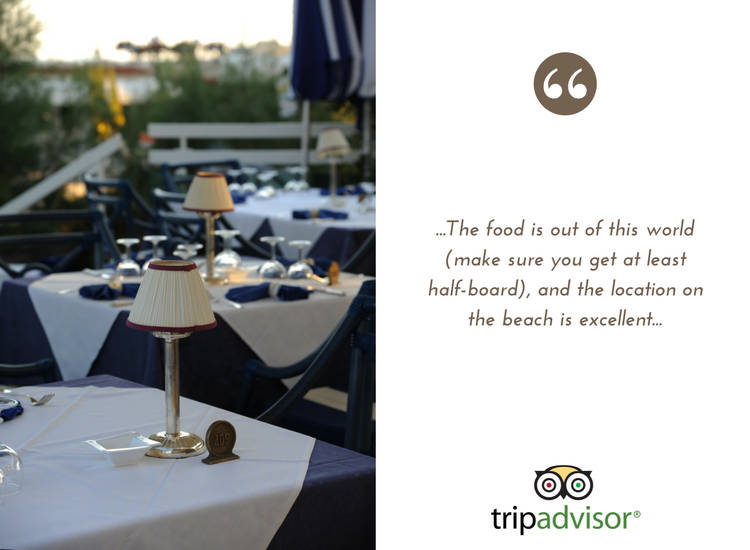 It is served on our splendid seafront view terrace. 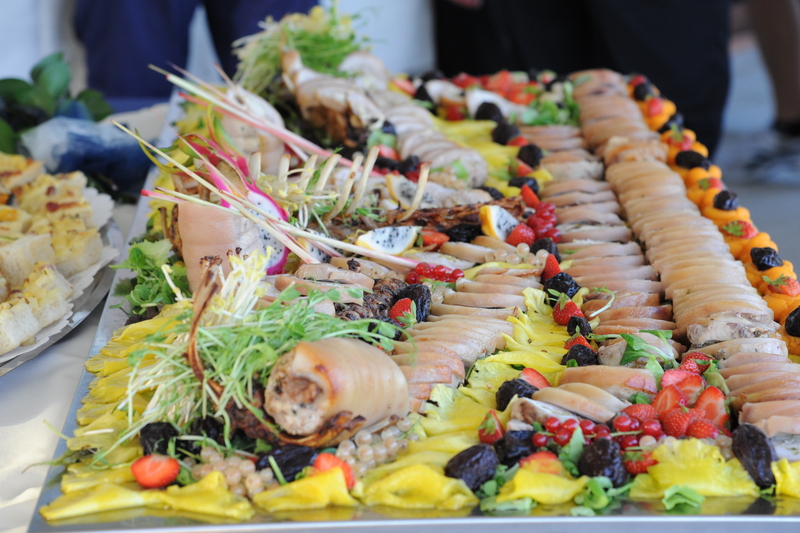 Lunch is also held on the terrace and the generous buffet ranges from the hors d’oeuvre to the dessert; a symphony of colours and tastes for the most demanding and sophisticated palates. While we serve our delicious dishes, the backdrop becomes unique: you can hear the waves in the background and enjoy the light of the hot sun generously offered to us by the season. Dinner is served in the elegant dining room, starting with a range of typical local and international dishes that you can choose on the day. Our hotel with restaurant offers a beautiful backdrop of lights and tastes that will allow you to experience the pleasure of food, making you the protagonists of evenings that are anything but ordinary. Come and taste our delicacies!